at the best hospitals at the most decent prices. In Iran, the demand for knee replacement has been on the rise in the recent decade. More than 10,000 knee arthroplasties are performed annually in the country. In light of this, and with the affordable pricing, more patients travel to Iran to get their knee reconstruction surgery done here. In this article, we present an overview of knee replacement surgery in Iran, including procedure, reasons, benefits, costs, outcomes, and many more. Knee replacement or knee arthroplasty is an orthopedic surgical treatment for those suffering from arthritis, leg deformity, and knee inability to work well. Is Iran a Good Option for Knee Replacement Surgery? 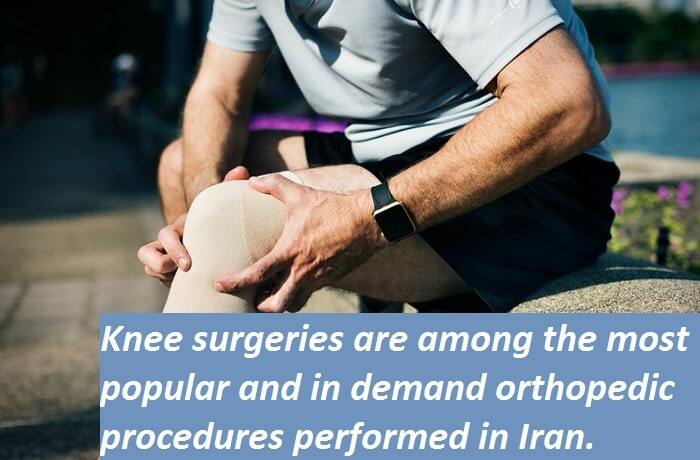 Knee surgeries are among the most popular and in demand orthopedic procedures performed in Iran. There are three main reasons that make Iran a perfect destination to choose for the replacement of a knee joint. They include professional surgeons, state-of-the-art orthopedic facilities, and attractive prices. Member of the Iranian Society of Knee Surgery, Arthroscopy and Sports Traumatology, Dr. Yazdi, explains the development of orthopedic surgeries in Iran, in an interview with Iran Daily. “We have made good progress in orthopedic treatments and knee surgery, and currently, we can conduct the most complicated knee surgeries,” he said. Therefore, Iran has a lot to offer to both national and international patients to have the most cost-effective and safe arthroplasty in the country. Having a successful surgery relies on the knowledge and proficiency of the surgeon. With many years of training and performing hundreds of surgeries, Iranian orthopedic surgeons are qualified for performing knee replacement surgeries. Iranian surgeons have passed orthopedic residency (a four-year program) and then attended postgraduate courses in top medical universities. Many orthopedic specialists in Iran have also furthered their education in Europe and North America for subspecialization in the hand, spine, knee, and shoulder surgeries. Furthermore, with the great number of orthopedic surgeries they carry out annually, Iranian surgeons can compete with those in the best countries in terms of quality and efficacy of surgeries. How Is Total Knee Replacement Performed in Iran? 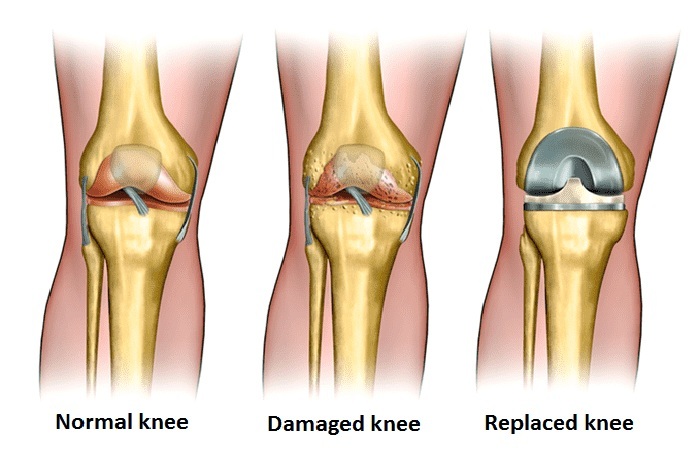 Total knee replacement surgery involves removing the knee joint and replacing it with a man-made joint. Depending on the patient’s age and condition, general anesthesia, regional nerve block anesthesia, epidural, or spinal are used for the safe operation. Depending on the method, either an incision between 6-10 inches or a big cut is made. Then, the surgeon moves aside the kneecap, cuts away damaged cartilage and bone end, and replaces new metal and plastic implant. The surgeon either retains, sacrifices, or substitutes the ligament and restores the alignment of your knees. After checking your knees by rotating them, the surgeon closes the incision. The procedure usually lasts between 2 and 4 hours. It takes place in a private hospital or specialized orthopedic center. You will need to stay 1-4 days in the hospital after the surgery. Inside the surgical replacement of a knee joint. While having a knee surgery would cost a fortune in many countries, Iran stands out in the front line of orthopedic destinations with the most affordable prices. A total knee replacement in Iran costs from $2,800 to $3,800. However, the same procedure would cost around $50,000 in the US and $11,000 in the UK. This price is going through the roof in other Asian countries compared to Iran. For example, the average price of this surgery is $12,000 and $7,000 in Thailand and India, respectively. Why Is a Total Knee Arthroplasty Needed? Osteoarthritis: This arthritis occurs as a result of aging, usually among people aged 50 or more. In this type of arthritis, the cartilage starts to soften and the ends of the bones hit each other, causing the knee pain. Rheumatoid arthritis: This arthritis, which falls into the category of inflammatory arthritis, occurs when the synovial membrane is thickened, damaging the cartilage and causing severe pain. Post-traumatic arthritis: Serious knee damage leads to post-traumatic arthritis which ills the functionality of the knee. If you are suffering from a type of arthritis described above, you definitely need a total knee replacement surgery. Knee stiffness and pain are the main reasons for this particular knee treatment. If you observe swelling and inflammation, which is not treated by anti-inflammatory medications and rest, you need to go for a joint replacement. Am I a Good Candidate for Total Knee Replacement? Have realistic expectations of the surgery. When you start to experience knee pain, total knee replacement is not the only option for you. When only one part of your knee is damaged, a partial knee replacement might suffice for you. Your knee consists of three compartments (medial, lateral, and patellofemoral). In partial knee replacement, otherwise known as unicompartmental knee replacement, only one area of your knee (the damaged compartment) will be replaced and resurfaced. The cartilage, bone, and ligaments will remain intact. This procedure is less invasive but takes more precision. The recovery is quicker with less pain. To realize whether you’re the right candidate for partial knee surgery, specific tests should be done before the operation. What Are Some Knee Replacement Outcomes? Like other surgeries, total knee replacement has some potential risks, complications, and, of course, benefits. Blood clots, dislocation, infection, fracture, implant problems, neurovascular injury, component misalignment, swelling, nerve injury, and stroke are all the complications you may experience after surgery. However, it is important to keep in mind that these complications are rarely observed. Plus, they can be prevented if you choose the right surgeon and consider post- and pre-operative cares. Generally, the knee surgery aims at eliminating your knee pain, and studies show that above 90% of patients who undergo this surgery experience a dramatic reduction of knee pain. 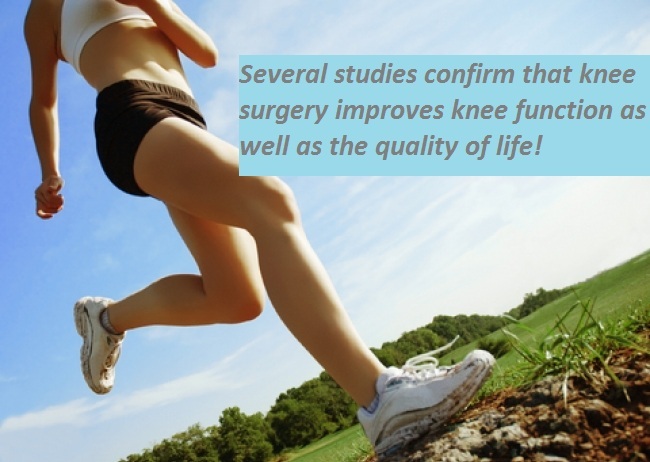 According to a report, several studies confirm that knee surgery improves knee function as well as the quality of life in patients with osteoarthritis. Therefore, the surgery would guarantee the patients’ health and well-being rather than threatening their life. What to Do Before a Total Knee Arthroplasty? Before the surgery, make sure your surgeon teaches you post-operative exercises. Pre-operative physiotherapy also has a significant effect on the result of the procedure after it is done. Walker or crutches need to be prepared before the surgery, as you will need to use them during the recovery period. What Are Knee Replacement Recovery and Post-operative Cares? Have x-ray check-up for your leg every year. What procedure of Inquire Orthopedics ?